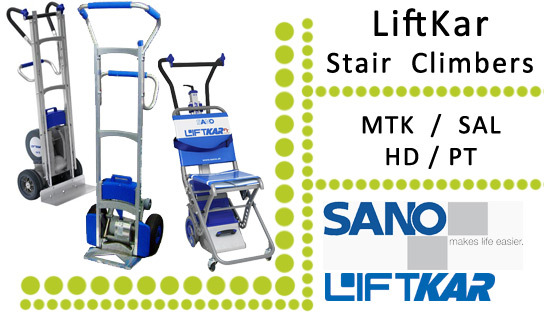 The Liftkar MTK is an ideal stairclimber for awkward and heavy loads, such as game machines, photocopiers, office furniture, vending machines and other heavy loads. This steel framed stairclimber comes in two capacity options of 190kg or 310kg. The latter comes with an automatic braking system. The MTK has an inbuilt toeplate or there are optional larger toeplate attachments available on our accessories list. The folding handle allows for easy support and control of a heavy load on the stairs. Liftkar MTK stair climber comes with the option of having a fully automatic braking system which is activated whilst inclining and declining the stairs. If you require any additional information regarding machine hire from Specialist Lifting Solutions please feel free to contact us on the information below.